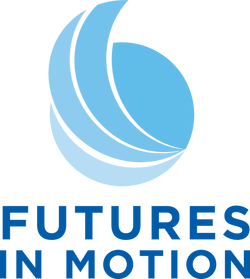 Futures in Motion - Markell R. Morris - Futures in Motion, Inc.
Are you struggling to figure out your next career move? Get my career guide for a roadmap of what to do and how to take action. Hi! I’m glad you stopped by. I’m a career counselor and coach who helps frustrated career changers who’ve experienced loss and personal challenges figure out what they want to do next in their career. My passion is to help people who’ve experienced loss and personal challenges bounce back, find their purpose, and rebuild, so that they regain a sense of meaning and purpose for their life and careers. My clients are ready to make a change, but they aren’t sure what they want to do or how to figure it out. They have a lot of ideas, but they’re spinning their wheels and getting overwhelmed by the options. Because they don’t have a reliable way to sort through their ideas, they second guess their decisions and stay stuck. That’s where I help them. so that the life and career they want becomes a reality. Based on my own personal experiences and professional career development background I teach my clients the steps they need to take to have the life and career they want. Whether it’s a new job, advancement or a total career change, I help my clients learn specific strategies and tactics, so they can go after it. I guide my clients through a 5 step career transition process to move from confusion to clarity, so they can stop spinning their wheels and take action. Working with me clients get the information, success tools and support they need to create a personalized career transition strategy and take action with confidence. Instead of spinning your wheels trying so many things and not making any progress, you can learn how to focus and apply the strategies that will get you where you want to go. If you’ve experienced a life changing event and are now at a crossroads; you want to figure out what you really want. Working with me could be just what you need to move forward. Want to know more about how you can move forward with confidence and clarity?